The Industrial shed to give for rent is located at Belur Industrial growth centre, Hubali-Dharwad. The shed area is 5000 sq.ft. with length of 100 ft. & width of 100 ft. 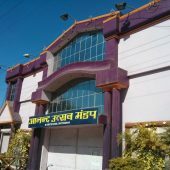 The unit is also accompany open land of 2 acres .The unit is North facing with 18 mtrs main road on front. Adjecent to Mumbai- Pune – Bangalore Highway which is countries growing Industrial corridor. Belur Industrial area is one of the industrial estates present in Hubli-Dharwad. The industrial area has the manufacturing units of agro, Chemical, engineering & pharmaceutical products. The Industrial area is surrounded by the companies like Tata Motors, Marcopolo, Power grid corporation, Hitachi Construction Equipments, & many more to list, is the advantage for Industrial development in the city. Steel structure with sheet roofing. Electricity supply – 47 HP. 4500 sq.ft. 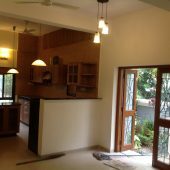 Bungalow for sale in Veerbhadra Nagar, Baner Pune.